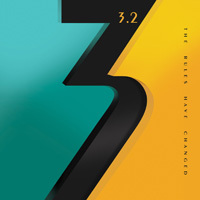 3.2 is the resurrection (or reboot to use common computer lingo) of the short-lived super group 3.0 that featured ELP notables Keith Emerson and Carl Palmer with guitarist and composer Robert Berry (Hush, Alliance, solo). The band dropped one popular album, To The Power Of Three, in 1988. With some songs already written, there was hope for a second album, but Emerson was suspicious of then label Geffen Records' commitment and strategy to the band. Warp to 2015 where Perry and Frontier Records suggested revisiting the band, Emerson, and the old material. Emerson was willing to jump on board with some new song collaborations, but tragically died in 2016 before the project got wheels. This left Berry at a crossroad: continue on or not. He did and the result is 3.2 and The Rules Have Changed where Emerson's compositions have come to life. With that last sentence, we summarize the direction and content of The Rules Have Changed. Think something of hybrid of Asia and ELP, yet less progish than the latter, and more AOR accessible and arena ready as the former. The compositions are strongly keyboard-centric. You can hear the bravado of Emerson's robust keyboards that allows for the grandeur of symphonic lushness to complimentary solos. Lingering also within songs are profoundly simple, yet moving, piano lines that can give melody a boast. That's not to say that Berry's guitar work is not heard. Within the title track he offers a fine solo about midpoint which leads to a proggish bass and drum fusion. This folds into one of the many fine synth solos found throughout. For some more synth highlights consider the crispy and jazzy solo one third into Your Mark On The World. This in turns into another segue of prog jazz fusion that involves all instruments. Another fine example of that fusion comes about the four minute mark of The Letter. There's an ambitious, almost funky groove, driving a plentiful mixture of piano and synths, which can sound suspiciously like a horn section at times. While I've hardly been a huge fan of keyboard-centered bands or albums, it's hard not to enjoy both the creativity and talent of Keith Emerson. With his keyboard command, he had the ability to be both decidedly intricate and delightfully accessible in his presentation. To his credit, Robert Berry has definitely honored Emerson's legacy with the music and songs of The Rules Have Changed. If your a fan of Emerson, ELP, or Asia, you need to put this album on your short list for purchase. Recommended. 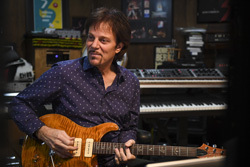 Developed from some of the final compositions of keyboard and ELP/Asia legend Keith Emerson, Robert Berry has definitely honored Emerson's legacy with the music and songs of The Rules Have Changed. Recommended.